Do your kids love to draw? Grab these free printable worksheets to accompany the Draw Write Now drawing series for kids. 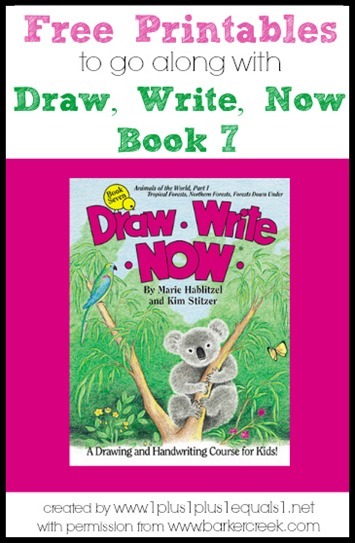 We love the Draw Write Now books to teach kids how to draw step-by-step. I’m amazed at how well the kids [and I] have learned to draw! As a homeschool mom, I love that there are interesting facts to go along with each picture that kids can write. 1+1+1=1 created some fabulous free printables for Draw Write Now based on the seriesso that you can just print the sheet that goes with the drawing your kids are making! Get the go along free printables to draw on with handwriting lines here.